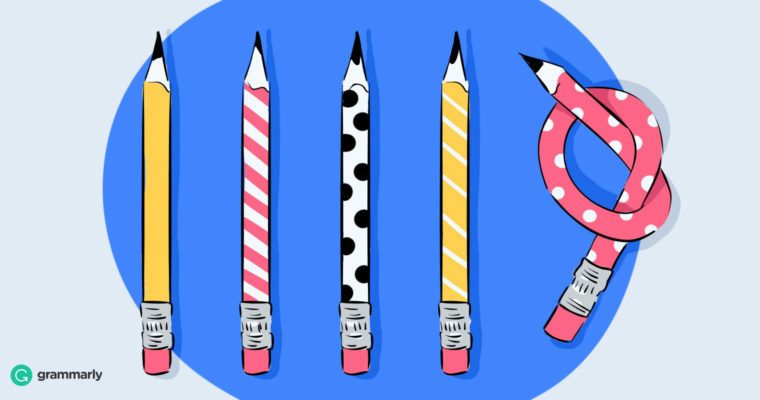 You want to become a better writer this year—but what does that mean to you? How will you measure success? Writing can be subjective, and it’s tough to know where to start. It can be hard to hold up work you did eleven months ago next to work from yesterday and discern much difference. Still, improvement is possible—particularly if you set goals to revisit throughout the year. 1 Up your weekly word count. Writing a ton of words doesn’t necessarily make you a better writer—there’s a lot to be said for stating a point succinctly. But you’re unlikely to become a better writer by doing it less. Unless you’re already the kind of Stephen King–like beast who cranks out a couple of thousand words daily, there’s probably room for growth. I keep an eye on this using the weekly snapshots in Bloggr Insights. After a long week of smashing deadlines, I look forward to an email with my score; seeing how my totals stack up against other Bloggr users feeds my competitive side. This also provides a baseline I can compare against. Have you tried the Bloggr keyboard? ? Utilizing opaque jargon to impart your theses is folly, but peppering in a few surprising and vibrant words can make your writing more memorable. It’s often said the best way to grow your vocabulary is by reading a lot; it also helps to get comfortable looking up words. I even do this with terms I know, just to make sure I’m conveying the right meaning and not overlooking stronger synonyms. Bloggr can keep track of this, too: its weekly writing update lets you see how many unique words you’re using each week, and how that ranks against other Bloggr users. 3 Write with one hand behind your back. In his work with the rap group Clipping, Hamilton star Daveed Diggs famously challenged himself to never write a lyric with the pronoun I. This pushed him to use more of the second person—issuing commands and calls for response—and include more environmental description. “It actually is really fun, and has actually opened things up for me quite a bit as a writer. There’s such a tendency as a rapper to write these first-person narratives, and that’s pretty limiting. No matter who you are, that’s limiting, because you’ve only lived so much,” he said. Diggs’ rule precluding I paid off with indelible “Work Work.” Imposing similar constraints on your own writing can lead you in creative directions. For instance, try avoiding any variations of the verb to be: no is, was, etc. It’s a challenge Such challenges force innovation! 4 Set a goal, however small, to get your work out. Because I write for a living, I strive to impress my editors and the audiences they represent. But I also write things solely for me—for my own creative satisfaction. In pursuit of this endeavor, I’ve found it helps to have an audience, a venue, or a deadline in mind, even if it’s small. I go on an annual camping trip with a few friends, and every year I challenge myself to prepare an original short story to share aloud. Give yourself a goal like this—even if it’s just to draft something to share around a campfire by fall—and it can convert your abstract longings into concrete action. 5 Recognize your mistakes—and learn from them. Looking back through my old weekly writing updates from Bloggr Insights, I used to confuse prepositions a lot, but I’ve since stopped. I also frequently neglected commas after introductory clauses and in compound sentences—and still do. One of my goals is to get better about this: not only to accept Bloggr’s tweaks when it spots my mistakes, but also take the opportunity to deepen my understanding of what’s correct. If you like to bend the rules, after all, it helps to know what they are. There’s no such thing as a perfect writer. But if you want to get better, Bloggr can help.